Motor1.com has the best readers. Case-in-point is Badih Tabet, who’s been following us since our very early days. In fact, Tabet tells us in an email that our small digital slice of the internet has been inspirational to him as a designer. That seriously hits us in the feels, but that’s not the only reason why we’re happy to present his vision for a potential Porsche 918 successor. It also happens to look bloody good. This fan rendering draws considerable inspiration from the Taycan, Porsche’s forthcoming electric supercar that’s due for the 2020 model year. The rectangular headlights, lower fascia, and flared fender arches are very similar to what we’ve seen on the Taycan, and it looks pretty good wrapped in a 918-esque body. Things get a bit more flamboyant further back, where Tabet expands on the 918’s side intakes rather dramatically, capped of course with a big wing. One thing we really like about this render is how Tabet illustrates airflow around the car, entering and exiting different areas. We don’t know if that’s backed up with any sort of CAD testing – we assume Tabet hasn’t actually built a physical model for aero testing – but in a world of fan renderings put together with seemingly no regard for aerodynamics, it’s quite refreshing to see a design that considers form as well as function. Also, we totally dig the Nürburgring dropped in there, though the rear engine cover looks a bit out-of-proportion on that rear view. Sorry Tabet, but hey, the rest looks fantastic. 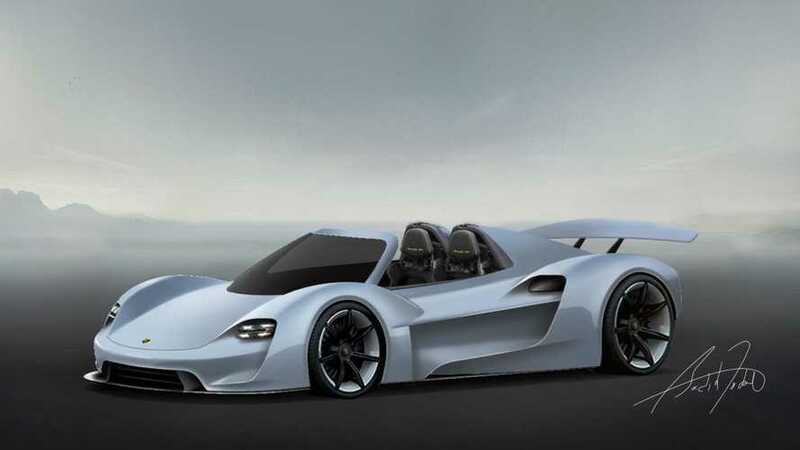 This render rekindles the 918 love we have, but it also reminds us that, for now anyway, Porsche doesn’t have any plans to create such a beast. 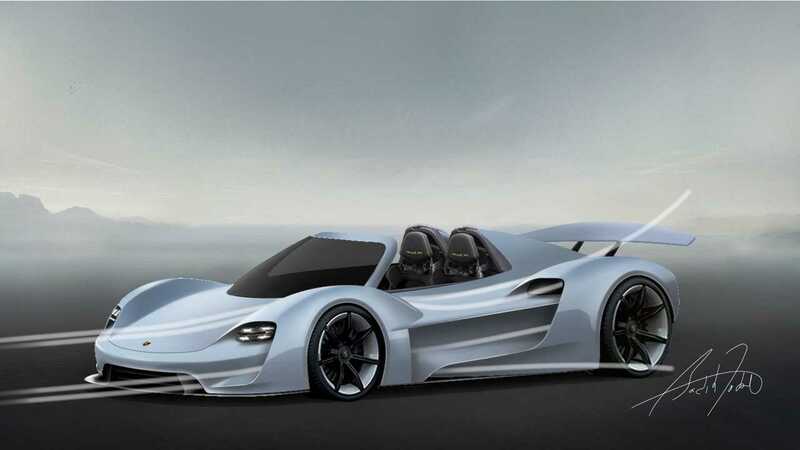 We’ve seen reports in the last year or so that say the automaker isn’t keen to pump out a new halo hypercar until battery tech and electric power takes the next step forward, and that could be upwards of 10 years or more. In the meantime, we have designers like Tabet who keep the enthusiasts fans burning. Thanks for sticking with Motor1.com and sharing your art with us.